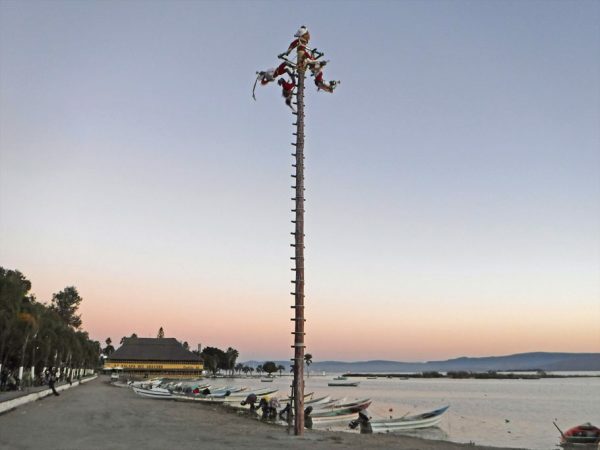 Our first stop after we left Guadalajara was Chapala at Lago de Chapala. December 21 – December 27, 2018. 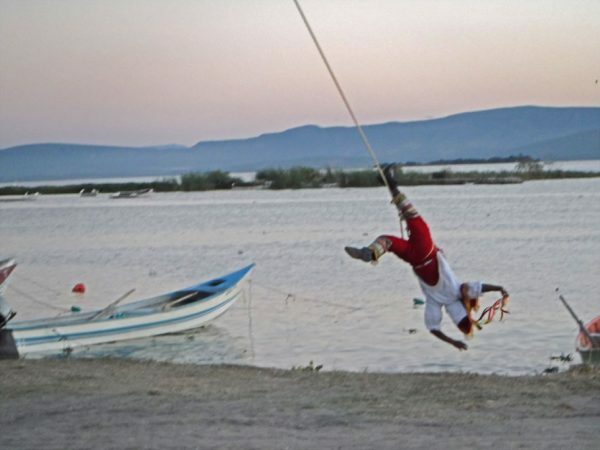 I was going to write something all insightful about friendship, connections, and people you meet on the road for this post but instead have decided to write about the most fun I have had in Mexico so far. Maybe it was so much fun because we were with some of those friends I was going to be all insightful about, or maybe it was because for a whole day I didn’t have to plan anything or figure out how to get anywhere, or perhaps it is just that Mexican touristas know how to have the most fun. 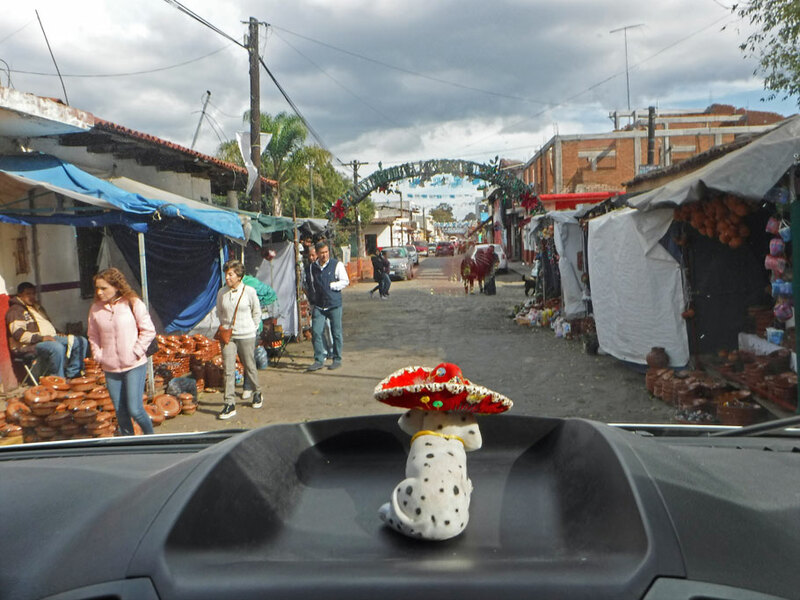 As you may have guessed from my abandoned post idea when we left Guadalajara we met up with some traveling friends. 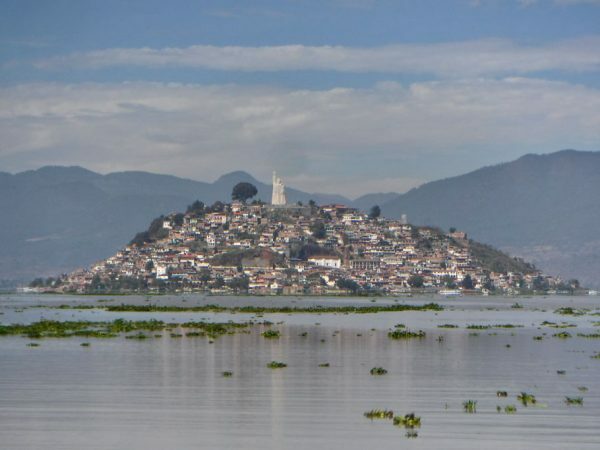 We headed south, spending a night on Lake Chapala and then on to Pátzcuaro, Michoacán the next day where we met up with sailing friends Jules and Jeff. We first met Jules and Jeff years ago when were sailing in the Bahamas. They now live on a boat sailing Mexico’s west coast. In addition to exploring on the water they have also done quite a bit of journeying inland off the boat in Mexico and were spending the Christmas holidays in Pátzcuaro which is along the path we were taking to Mexico City. We wanted to visit Pátzcuaro anyways so we thought we stop and hang with them for a while. So on to the fun. 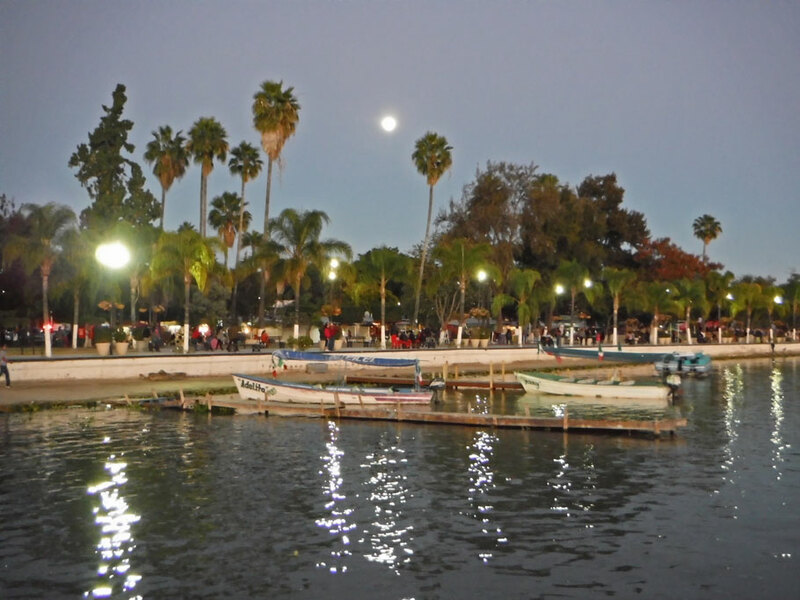 On Christmas Eve day Jules and Jeff wanted to take a boat ride out to this tiny island called Janitzo in Lago de Pátzcuaro. 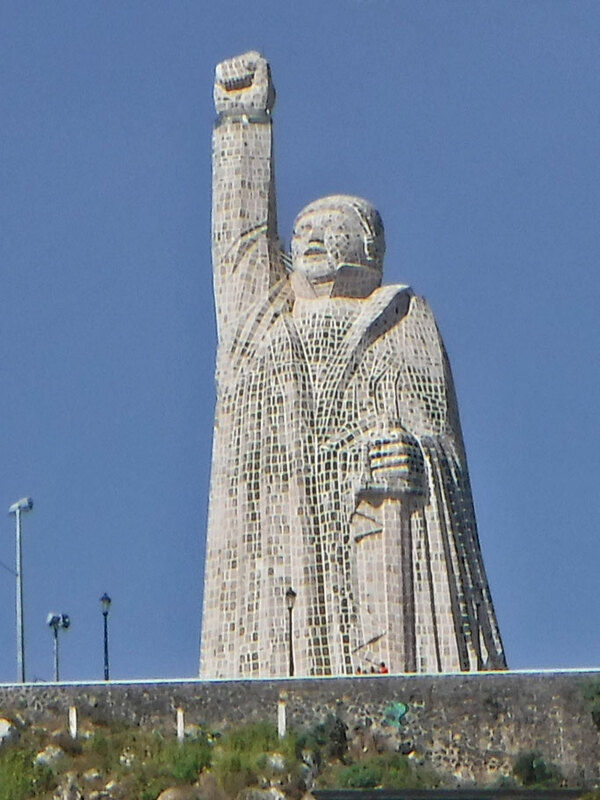 At the very top of the hill which rises from the shores of Janitzio is a giant statue of a guy named Morelos. I had read about the island and statue previously and understood it was a touristy thing that Mexicans touristas love to do. I was up for it. Jules and Jeff hiked up from where they were staying in El Centro to our campsite and from there we walked to the docks. Tickets were 70 pesos (about $3.50 US) per person round trip. The fun began almost immediately after we launched. 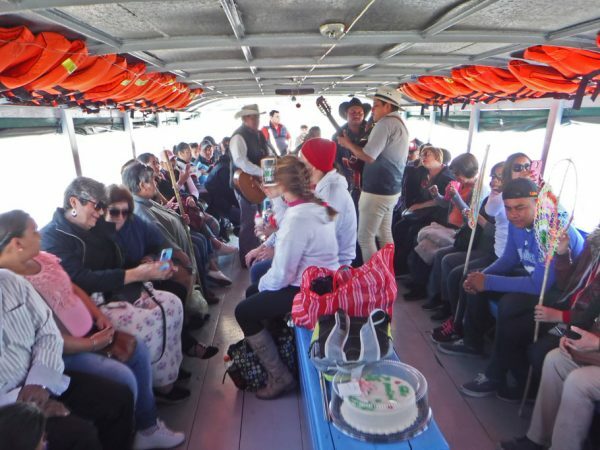 Those guys we saw lugging their musical instruments on board weren’t going to some gig on the island – no the gig was right there, right then, on the boat. And they were good! For my musically inclined friends, think Texas Tornados – for everyone else – Google Texas Tornados. They played half a dozen songs then passed the tip bucket. 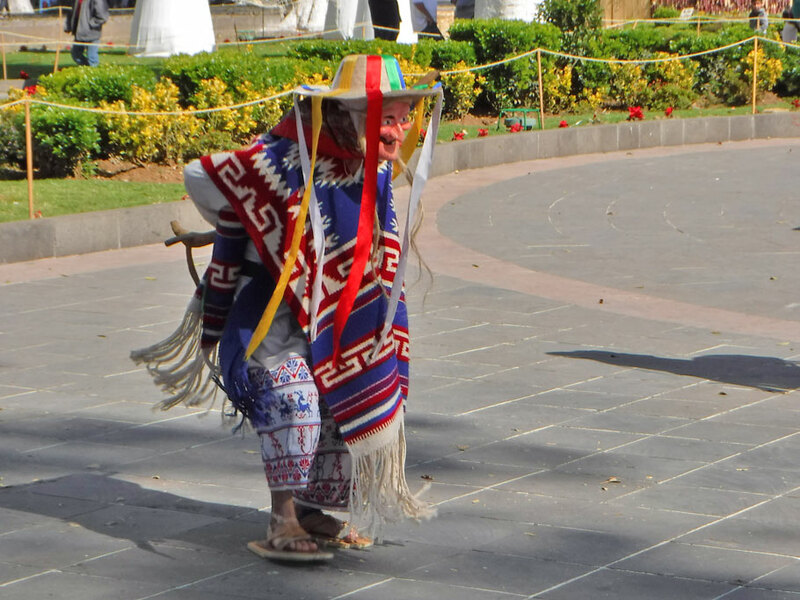 This is why you should always have smaller denomination pesos in your pocket in Mexico – truly you never know when and where the entertainment will be. After the bucket pass they started taking requests for larger tips. Everyone loved these guys. There was dancing in the aisles and they never ran out of people who wanted to tip them for a song. As we neared the island I was hoping that we’d see these “butterfly fishermen” in their interesting looking boats and unusual nets I had read about previously. And we did. I saw a trio of them out the starboard window and leaned over a catch a few pics before we passed them. But then the boat stopped and I looked out the port side to see dozens of the fishermen posing for us. After giving everyone time to snap some pictures two fishermen flanked both sides of the boat working their way down the length of it collecting tips. 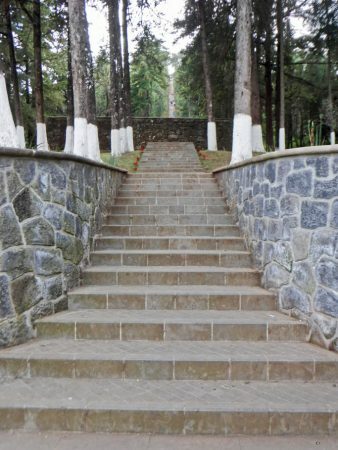 After disembarking at the island we started our ascent, climbing many, many stairs to reach the top of the monument. This, of course, didn’t disappoint either as the stairs were lined with restaurants and one gift shop after another enticing out of breath travelers to take a rest and look at their colorful souvenirs. At the top we paid another 20 pesos each for access the monument and the surrounding courtyard. It was early so not much was cranked up yet but we got to watch Los Viejitos (child dancers with old guy masks) and sample some chapulines (fried grasshoppers) before we went inside Morelos. The chapulines were actually good. They taste pretty much like what they are seasoned with. I believe ours were chili and lime. But just like popcorn, when you chew little bits and pieces find their way down between the inside of your mouth your gums and you spend the rest of the day trying to clear out all the grasshopper parts. Inside the monument was a ramp that followed the inside wall up to the top. As we walked up the ramp we followed murals that told Morelos’ story. If my Spanish was better I might be able to tell you more about that. At the end of the ramp was a twist of stairs which led us to the tiny windowed room big enough for maybe four people inside Morelos’ uplifted fist where we could look out over the island and the lake. We took a different set of stairs on our descent down the hill and stopped at a restaurant along the way and had a tasty and cheap lunch. The boat ride back was a bit more subdued. After the band (which was a bit more traditional and a lot less rocking than the previous band) passed the hat no one requested any more songs. Perhaps all the touristas were completely danced out, tipped out, climbed out, chapulined out, souvenired out, and just plain worn out from too much fun. What’s the funnest thing you’ve done lately? What’s your favorite touristy thing to do? 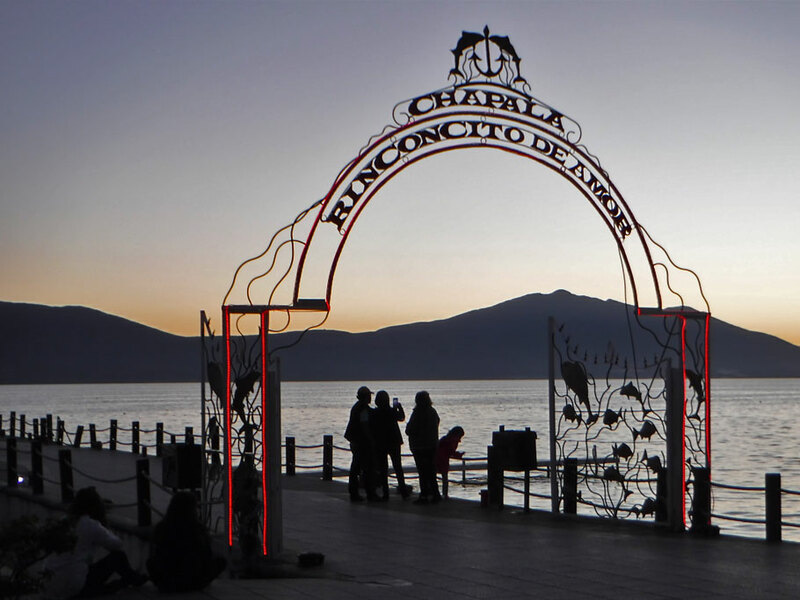 There is a nice malecón full of ambling tourists along the lake in Chapala, active with a market and strolling musicians. According to Wikipedia the town and its lake is a weekend getaway for residents of Guadalajara. 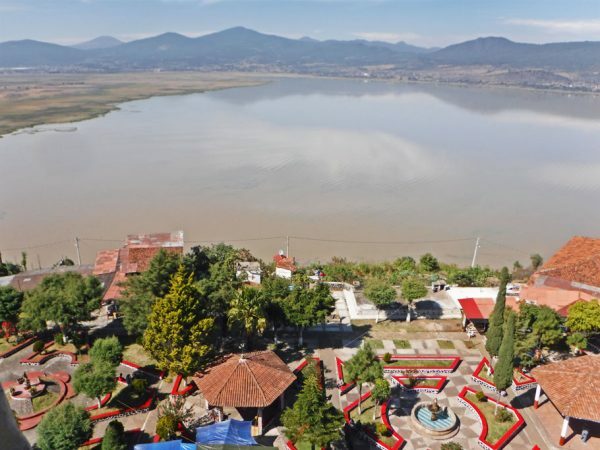 Chapala and the neighboring town of Ajijic are known as expat locations populated by permanent and semi-permanent residents from Canada and the US. I expected to see gringos strolling around but although I did hear a bit of English I didn’t see anyone I would peg on sight as being from north of the border. Fun fact! 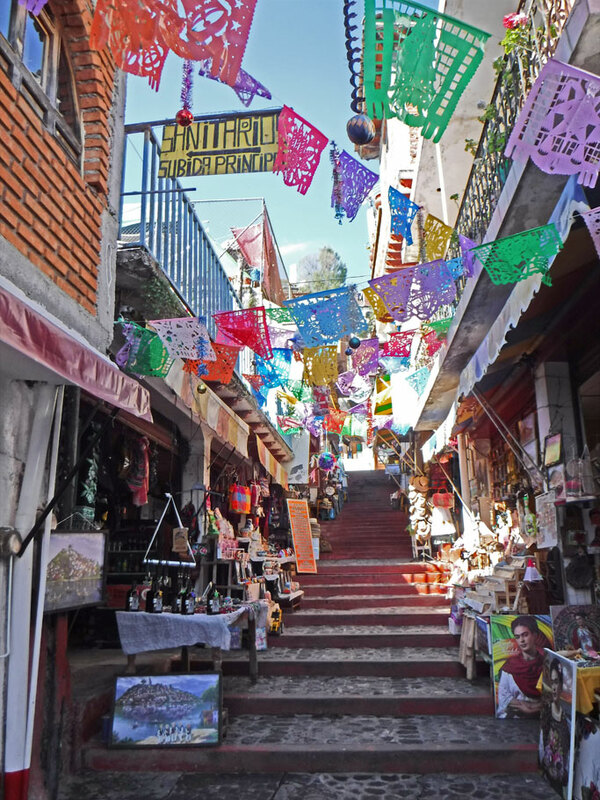 Tennessee Williams lived in Chapala for a time while he worked on a play called Poker Night which would later become A Streetcar Named Desire. Along the malecón Los Voladores (flyers) get ready to soar. 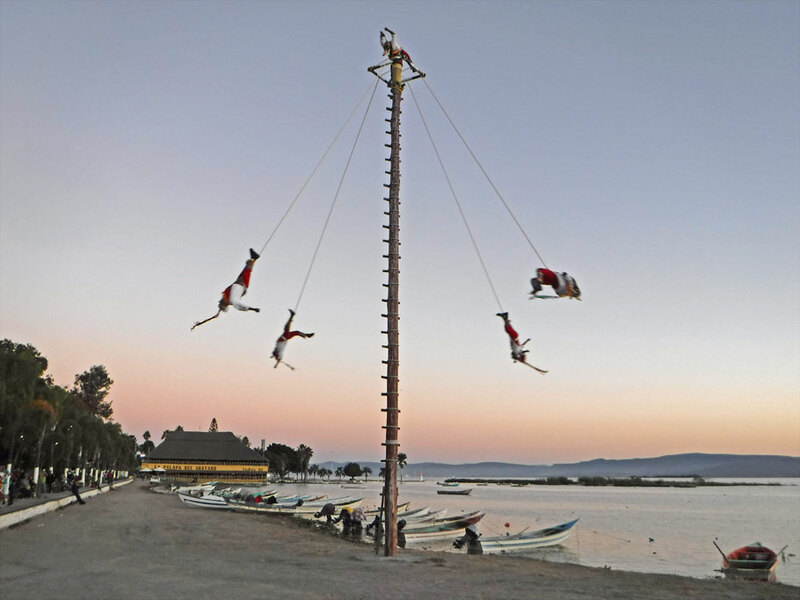 Over 30′ high, the four have ascended the pole and wound their long lines clockwise around it. 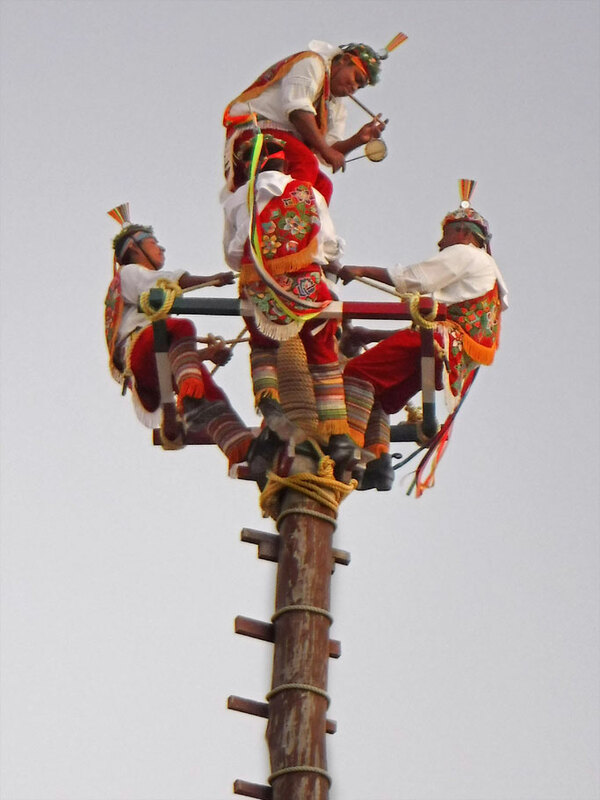 A fifth flyer dances on the top of the pole while playing his flute/drum. The song ends. The voladores drop off backwards. They spin counter-clockwise as their ropes play out. 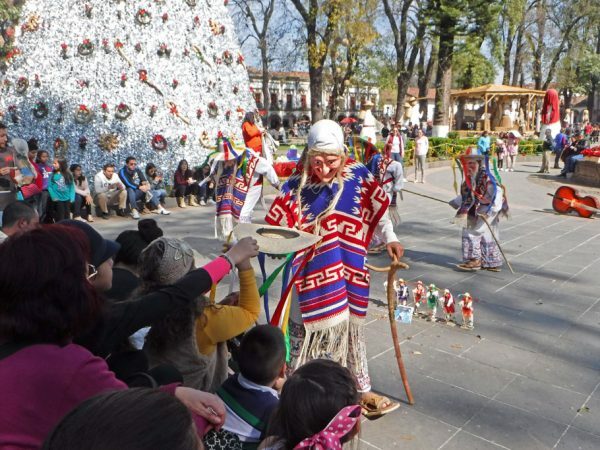 Their flight has roots in a pre-hispanic ritual honoring the wind god. During their descent the voladores twist around in different configurations, streamers trailing behind them. At the bottom, the streamers are held off the ground. It’s time to tip up and land foot-first. 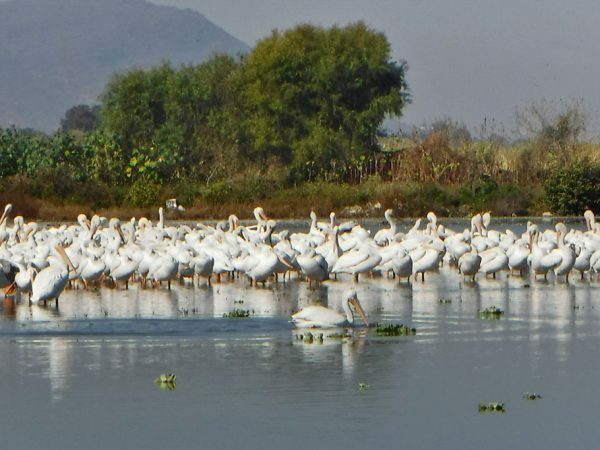 From Chapala we headed towards Pátzcuaro with a stop in a the very small town of Petatán to see the thousands of “Pelícanos Borregones” (white pelicans) that migrate from Canada every year from November through March. 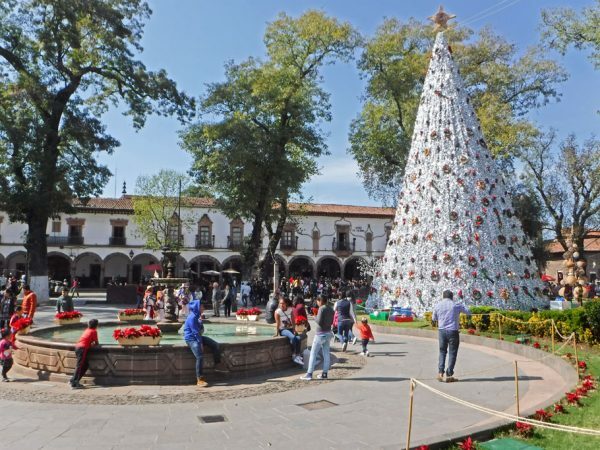 The square in Pátzcuaro was bustling and decorated for the holidays. 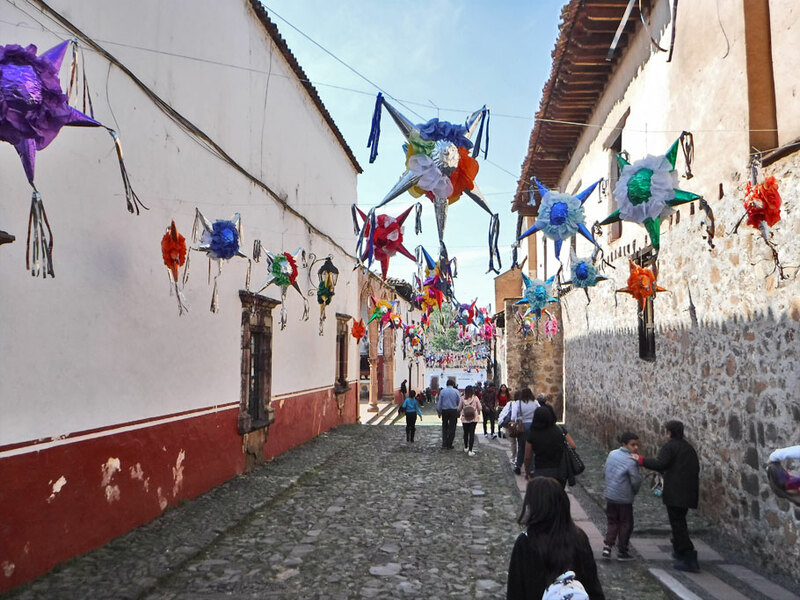 The streets in this Pueblo Magico were lined with piñatas. 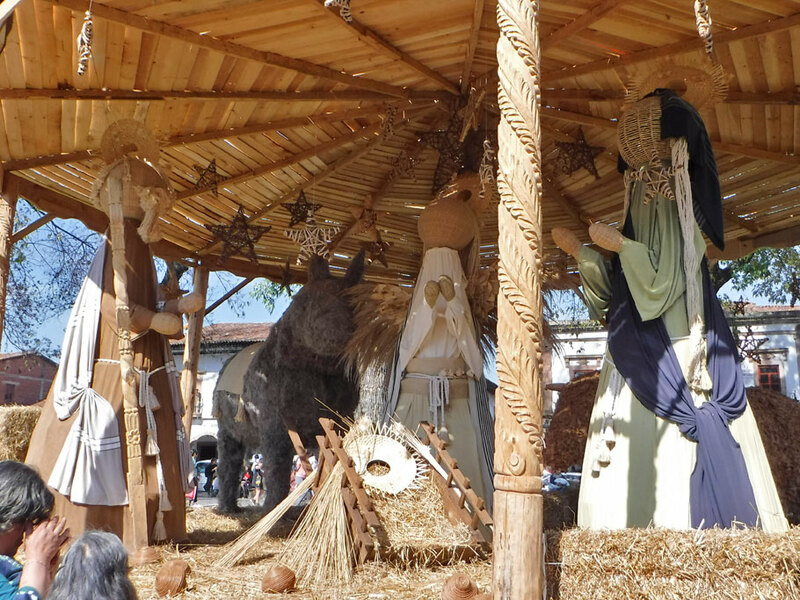 The decorations in the plaza included a nativity scene – no baby Jesus, though. He doesn’t show up until Christmas Eve. Our first day in Páztcuaro we met Jules and Jeff in El Centro for a little orientation of the city. 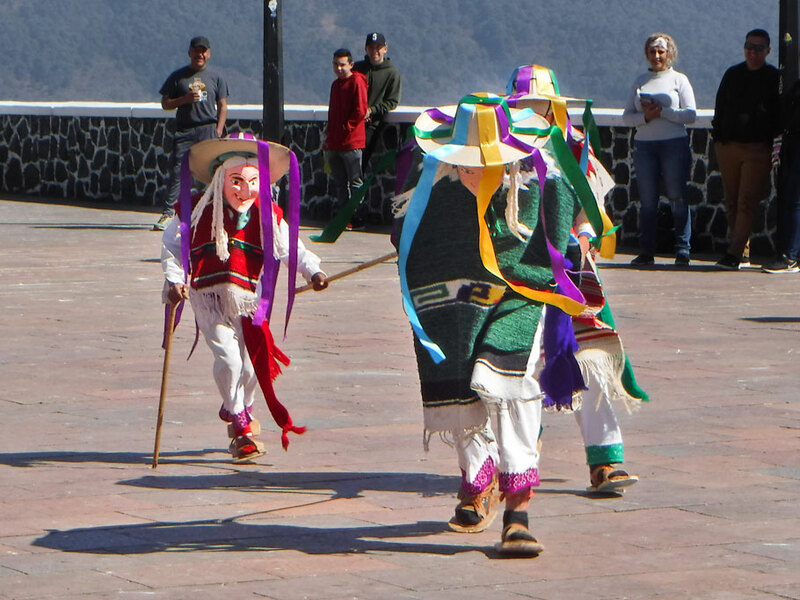 This was the first time we got to experience the Danza de los Viejitos (The dance of the little old men). Un viejito passing the hat for tips. (Psst. 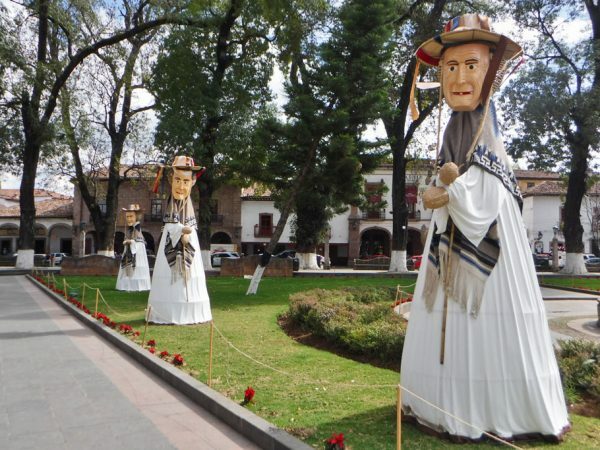 They are really children dressed as old men to honor the pre-hispanic “Old God”.) Accompanied by guitar and violin, their dance might start slowly with them lying on the ground. They get up creaking, and as the tempo increases they keep time slapping their sandals on the pavement. Everyone having a great time on our boat ride to Janitzo. Approching the island of Janitzio. 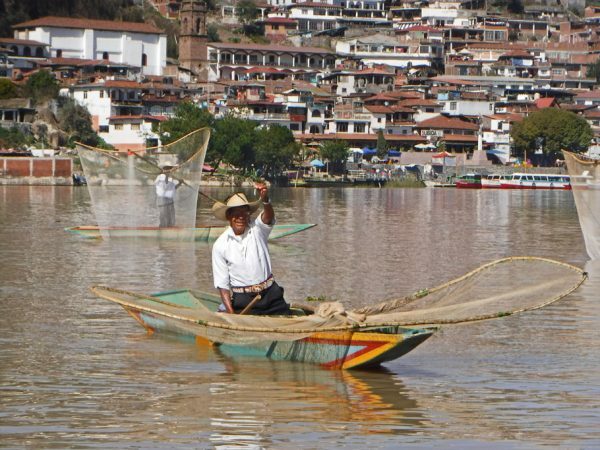 The butterfly fishermen show off their huge butterfly nets they use to catch fish. A fisherman holds up a tiny minnow. On the island these minnows are fried and you can buy them by the bowlful. At the top of the island we encounter Los Viejitos again. 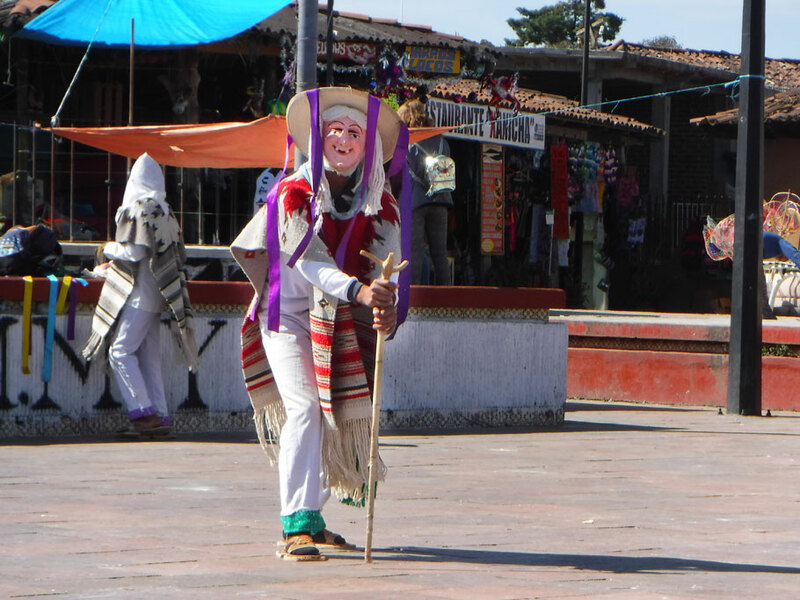 One of the most interesting parts of Los Viejitos costumes is their masks but when they dance their heads are usually down making it hard to see them. But every once and a while they look up. 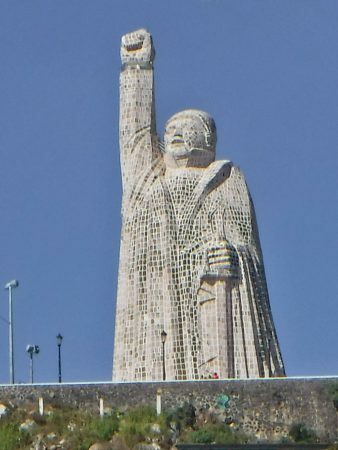 The 40 meter (just over 131 feet) statue of José María Morelos. 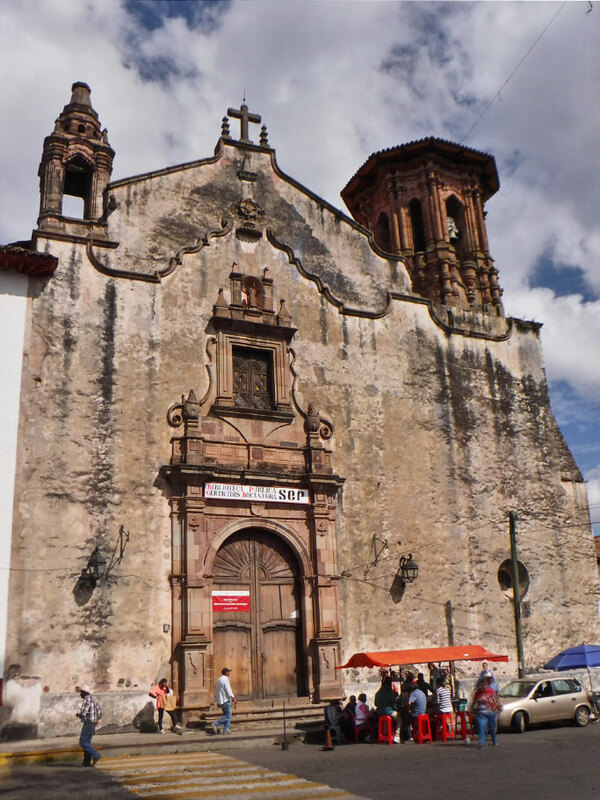 A low-caste priest turned warrior, he joined Hidalgo’s revolution, commanding southern Mexico after Hidalgo’s death. He oversaw the declaration of independence and drafting of the constitution. He was captured, defrocked and executed. 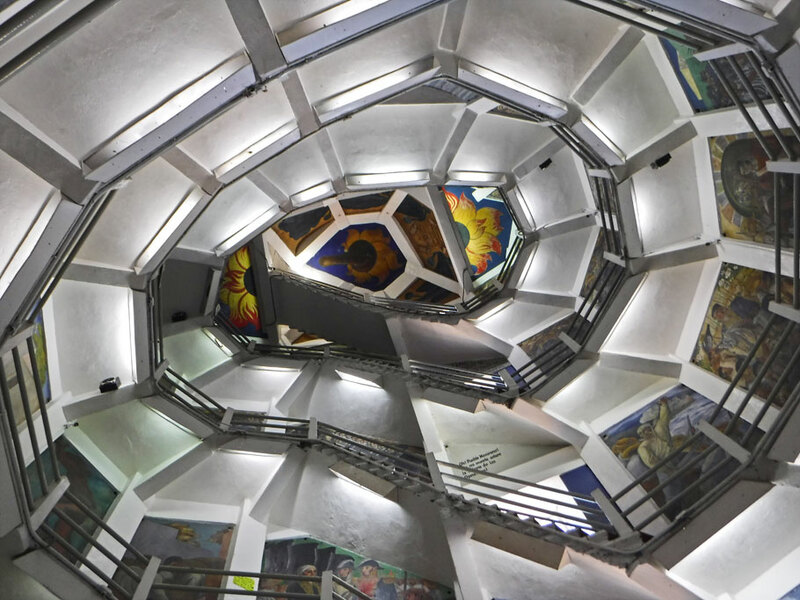 Looking up from inside the statue of Morelos you can see the murals painted on the walls. 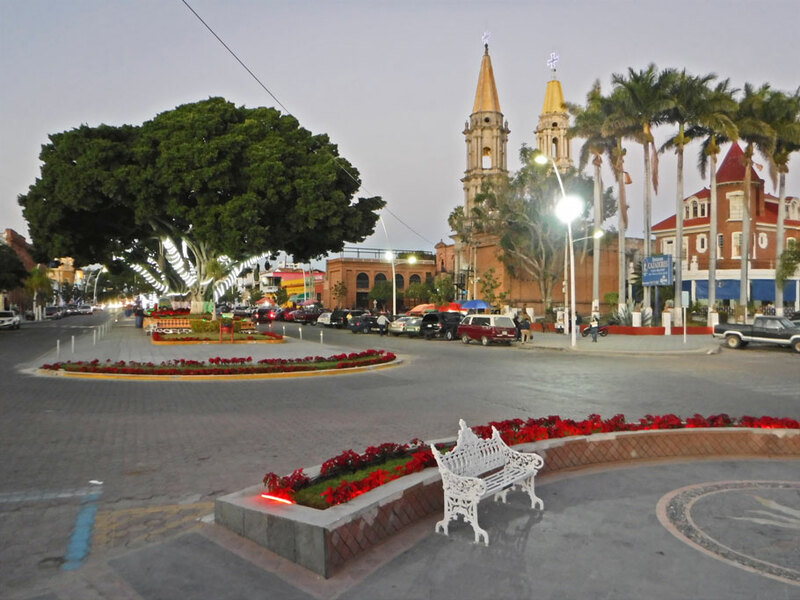 View of the lake and plaza from Morelos’ fist. 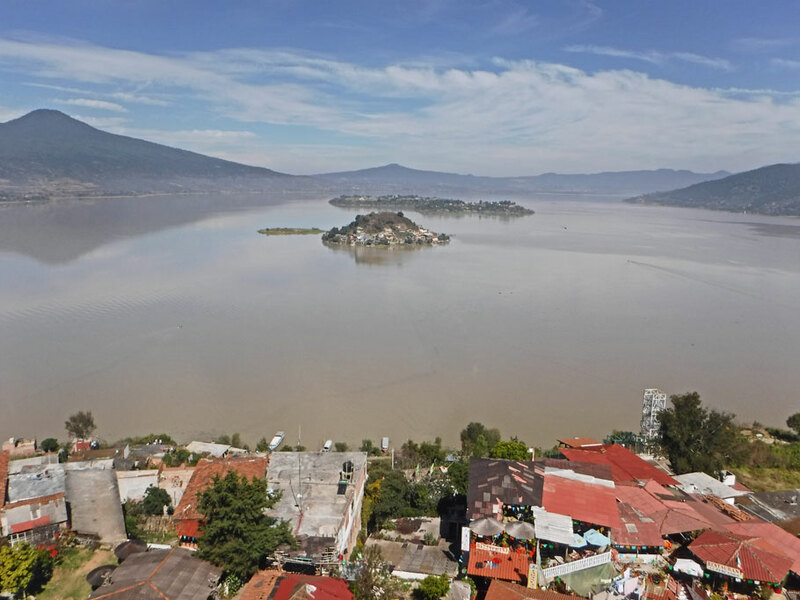 Another view from Morelos’s fist of a few of the other islands in the lake. Going down. 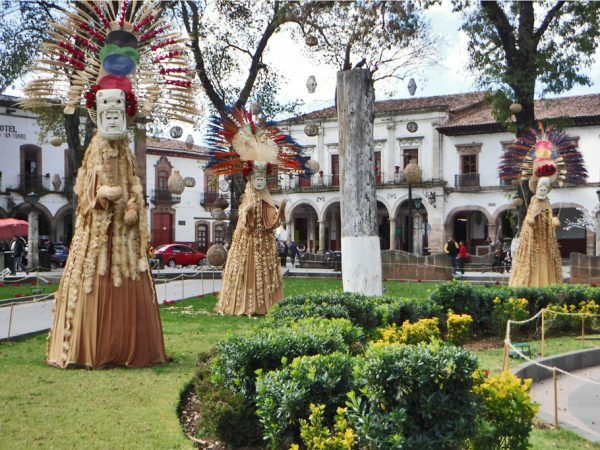 Janitzio and Pátzcuaro are in the state of Michoacan, which is famous for its arts and crafts. Lots to sell along the stairs up and down. I wish we had had time to take some photographs on Christmas day but we were rushing to Jules and Jeff’s place for Christmas dinner. I thought the streets would be deserted but instead they were jam packed full of people strolling around, eating, and just enjoying the day. Here at in front of this library you can see on of the many stands that lined the plaza where people would sit and eat fresh fish. The Nativity scene spreads from the manger all through the plaza. Behind the pond are the Magi with animals signifying where they are from. There is always an elephant for Caspar (traditionally thought to be from India). Mayan figures also pay tribute to the new king. On the 26th Jules, Jeff, Greg, and I took a long walk to the mirador that overlooks the city and the lake. 400 steps. Look real close and you and see a few people who have almost made it to the top. The view from the top which is actually a dormant volcano. We left Pátzcuaro on the 27th heading toward Mexico City where we had a Airbnb reserved and would meet our friend Wayne. Along the way we stopped at some ruins. 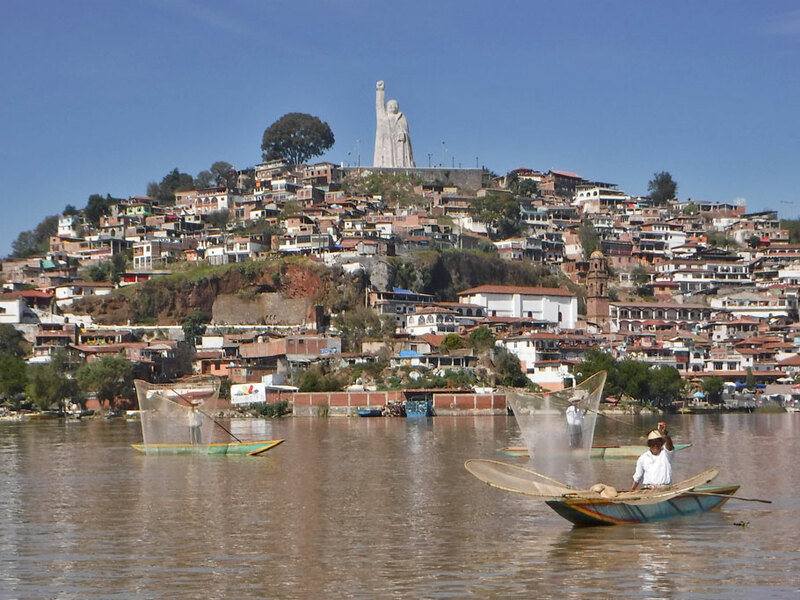 Here is Ihuatzio with the statue of Morelos atop Janitzio in the distance. 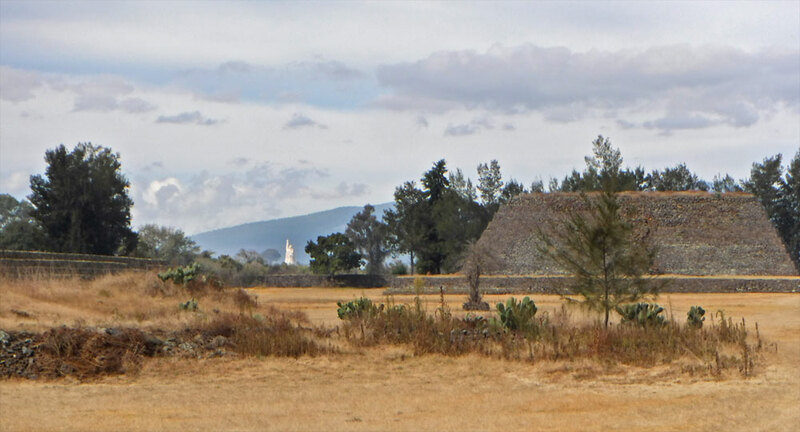 The Tzintzunzan ruins are also near Pátzcuaro. 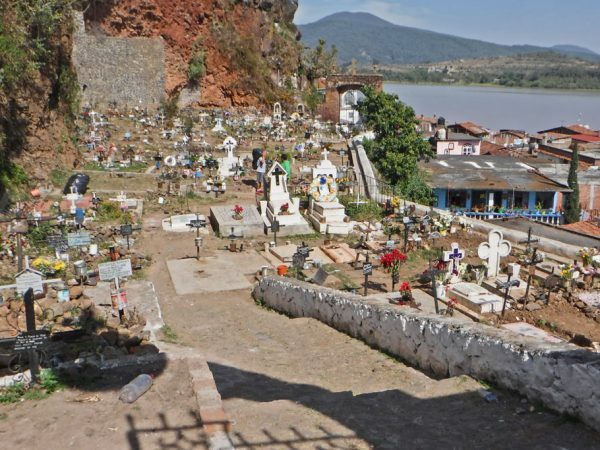 Here, ancient fortifications top a cliff overlooking Lake Pátzcuaro. The five round tandem pyramids here were the heart of the Purépecha empire, which resisted the Aztecs, but succumbed to the Spanish. 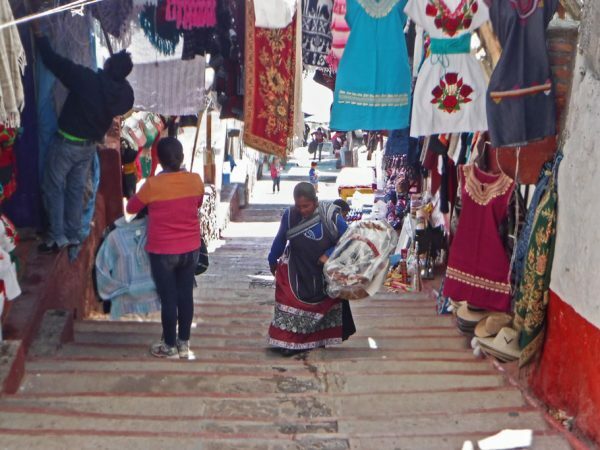 After the ruins we went Catrina shopping in a small town called Capula. 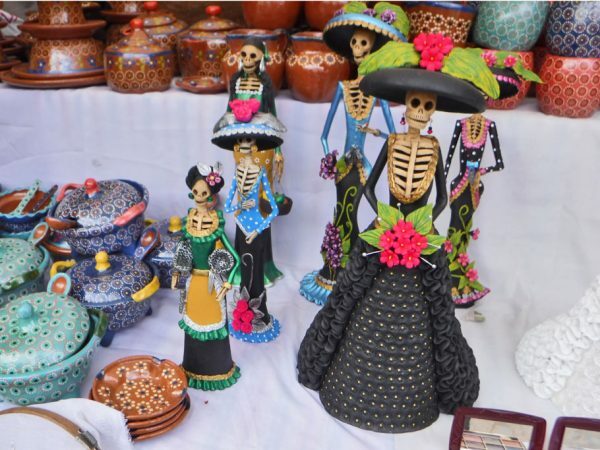 Here they make the iconic Day of Dead statue of the skeletal woman with the big hat as well as other items from clay. Oh no, Bob! Are we going to make it under that archway ahead? A few of the Catrinas on sale at one of the many open air stands that lined the streets in Capula. 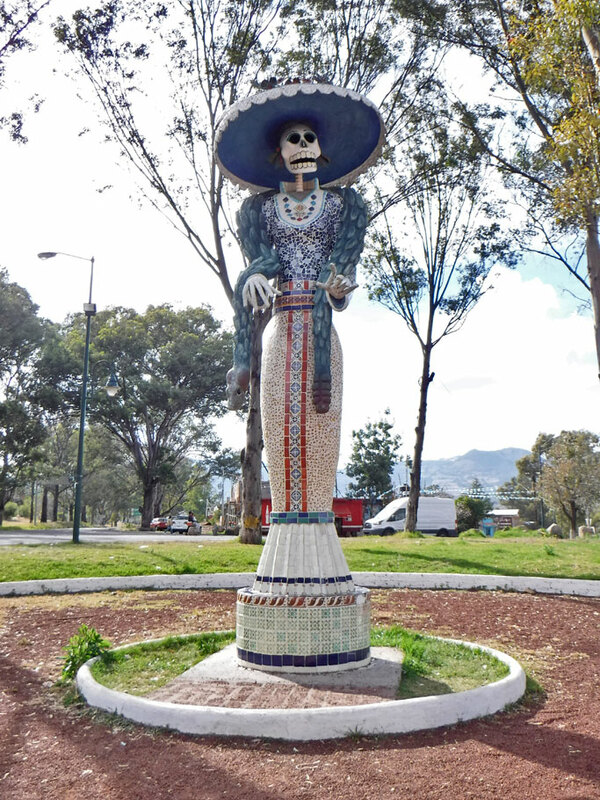 Outside of town is a giant Catrina. Ballena Blanca patiently waits for us in the background. 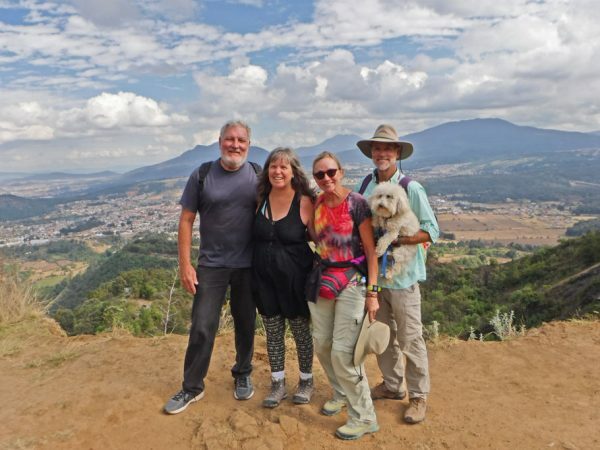 So here we are Greg, Duwan, Jules, Jeff, and the ever chill Chance the dog overlooking Pátzcuaro. And here is a condensed version of what my original post was going to be about — Despite all the wonderful things we get to see and do, traveling can be really hard. One of the things that makes it easier is these sometime very small interactions you have with people along the way. Sometimes it is making or meeting friends or sometime it is just having a conversation with another traveler in passing. We met Jules and Jeff about 6 traveling seasons ago when we were sailing the in Bahamas. Since then we have rendezvoused with them 5 times in 5 different places in 3 different countries! It was a blast hanging out with them in Pátzcauro and it made our journey into this amazing but different country so much easier. BTW – Jules and Jeff have a great blog too. You can see it here. This entry was posted in Jalisco, Mexico, Michoacán, Travel On The Dirt and tagged Butterfly Fishermen, Capula, Chapala, friends, Giant Catrina, Jalisco, Janitzio, Lake Chapala, Los Viejitos, Mexico, Michoacán, Morelos, Overlanding Mexico, Pátzcuaro, Voladores. Bookmark the permalink. Fun times indeed. We need to have time more of those, but I have to agree that having friends around generally means more fun for us. 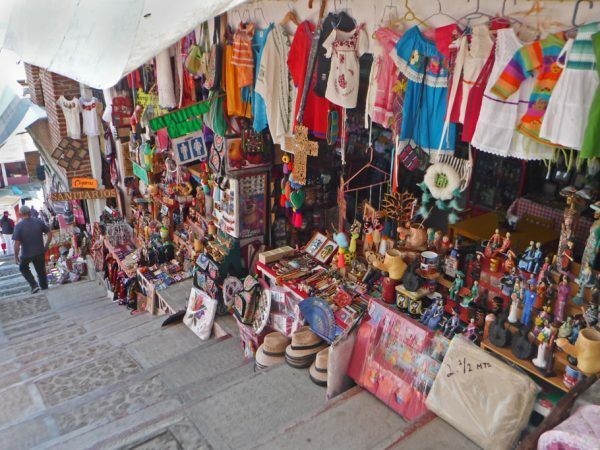 The Mexicans sure know how to make money from tourists. Industrious! My senses might get a bit overwhelmed after a tourist outing like this one, but with the right mindset, it would be amazing. Patzcuaro is the only place Mark and I got sick during our year-long Mexican and Central American road trip many moons ago. The mother of a former colleague of Mark invited us over to their house for dinner and served a funky looking side salad with the meal. Against better judgment (to not be rude) we ate it… Tough situation, but we did regret it for days after. Enjoy the rest of your Mexican travels! My senses constantly get a little overwhelmed in Mexico. I kind of miss landscapes, deserts, and wide open spaces but we are learning to take it all in. 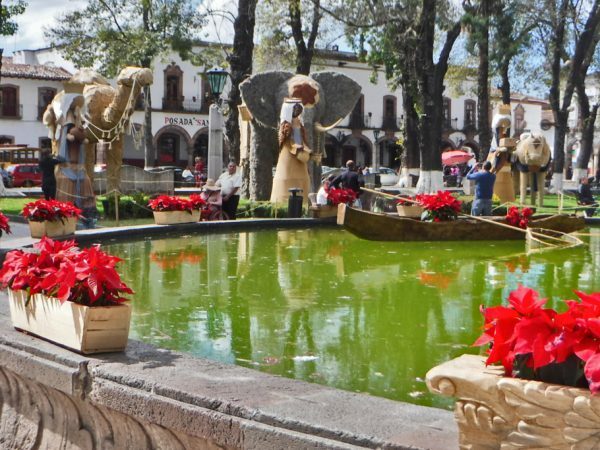 So sorry to hear about your food poisoning in Pátzcuaro. We have not had any trouble with the food. I think many of the restaurants are very careful to wash their vegetables – but maybe that isn’t the case with individuals. Jeff and I are honored to be featured in this latest post. We had so much fun with you two, and enjoyed sharing our love of Mexico. You are always welcome to join us, as you allowed us to join you in the beginning of our sailing adventures. I love reading your beautiful writing about your travels around North America. Thanks, also, for link g back to past posts of our encounters, as I don’t remember reading them back then! Memories to keep, with photos, even! Thanks so much Jules! Perhaps one day we will make it 4 countries (or maybe more) and join you on a sailing adventure. I do miss being on the water.